I’m a true believer, if you haven’t caught on already, in completing a bucket list. 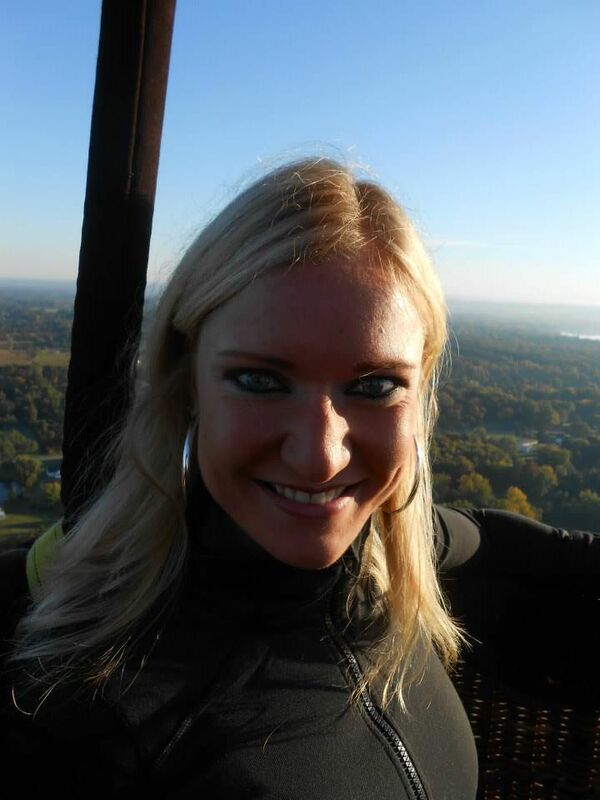 One of the things on my bucket list was going on a hot air balloon ride. It was a simple goal, really. I didn’t want to “go on a hot air balloon in Switzerland,” or “be proposed to in a hot air balloon,” or have some exciting event surround it. 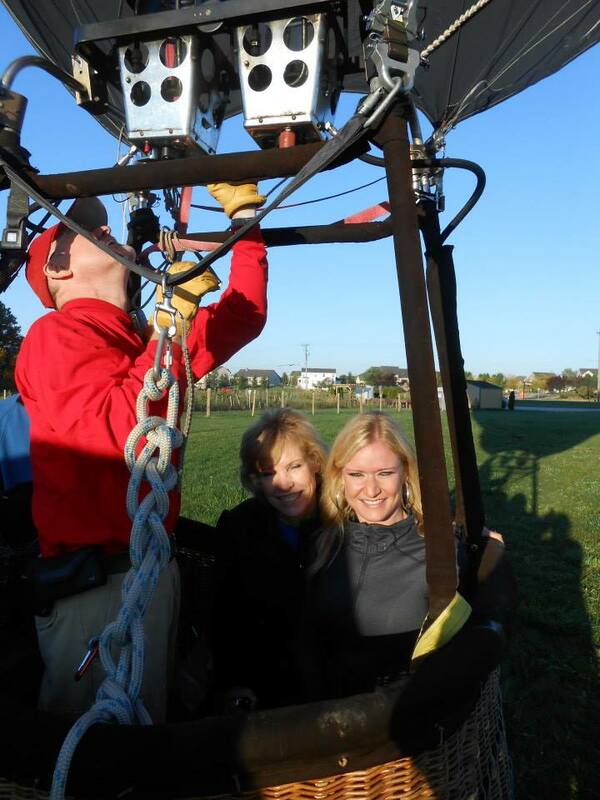 I just wanted to simply go on a hot air balloon. I didn’t care when or where. I knew it would be cool no matter what. So a few years ago, after I decided to do just bite the bullet and do it, I recruited my mom into going with me. What can I say, the rest of my friends are boring?? But I knew it would be a great mother-daughter experience, and it was. I had found a company locally who had time that fall to book a session. Time that fall to fly us over Columbus, OH (where I was living at the time). See, the location didn’t matter. I wanted the experience of flying with only a sheet filled with hot air holding me in the sky. After setting it up, I received an email from the owner of the balloon company requesting something from my doctor indicating that it was safe for me to be flying in a hot air balloon. I had a wonderful doctor who was more than willing to write a short letter outlining my capabilities. But looking back on it, it was extremely unfair. My mother didn’t have to have a letter from her doctor. And the old man riding later that day didn’t. But such is life, and it was a relatively easy request from my doctor. 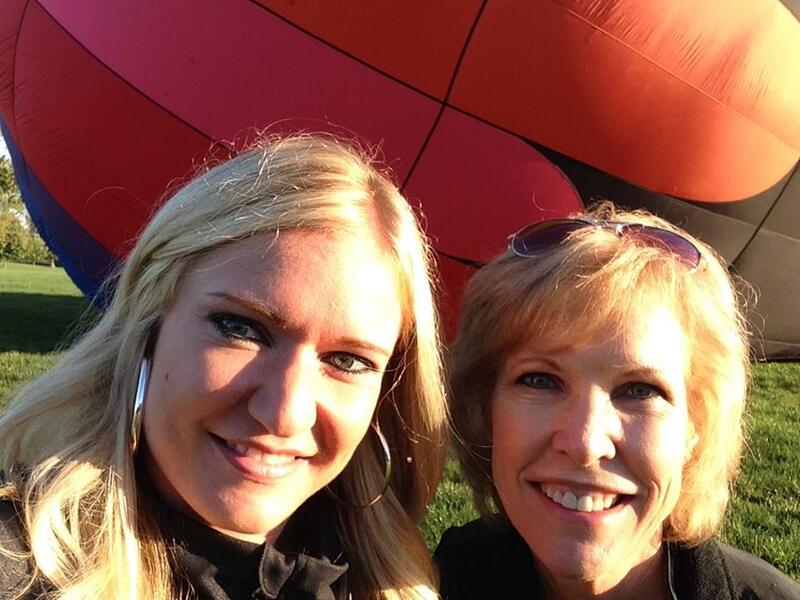 After several re-bookings due to inclement weather, we finally found ourselves in a field outside of Columbus, waiting and watching as the balloon filled with gaseous air. And just like that, it was up on end and I was being helped into the basket. I sat in my wheelchair, waiting for the owner to request my paperwork and “doctor’s permission.” He never did. I guess maybe he realized when he saw me that I was perfectly capable. Or maybe he was just distracted with the balloon. I had been skydiving a few years before this, so I really didn’t think much of it. But oddly, I found it to be more unsettling than jumping out of a plane. I know, crazy. But there just wasn’t as much adrenaline. And if the basket broke loose, there wasn’t a parachute to catch me as I tumbled to the ground. And what if the pilot had a heart attack? There wasn’t a co-pilot, and I certainly wouldn’t have a clue how to get us safely to the ground. And then I told myself, “Stop thinking so much, Renee. Just enjoy the crisp fall air and the extreme quietness around you.” So I did. It was quieter in that sky than most places on Earth. After an hour or so, our pilot began looking for a field to land. He drew us closer to the ground, coming within inches of electrical wires and trees. But eventually, he found a corn field that had been freshly harvested. I had no idea where in Ohio we were, but I knew that we were about to land on freshly harvested corn stalks and there was no way it could be a smooth landing. He had told us earlier that the basket would like slide along the ground when we landed. You can’t slide anything along corn stalks. My small town Ohio-ness knew that. So as we approached the ground, he firmly said, “Please grab a hold of the edge of the basket. We may bounce a little and I wouldn’t want you to bounce out of the basket.” Boom! I was on the floor, phone and camera now lost somewhere in the basket, and my mom kneeling beside me. I felt a sharp, shooting pain going into my knee and up my leg. Ouch! “Please get back on the seat,” he said. We were taking up all his space on the floor and he wasn’t able to operate the balloon, which had hastily thrown the basket onto it’s side, and my mom and me onto our hands, tears about to run out of our eyes. I was terrified at this point, thinking I really would bounce out of the basket, and that the basket would bounce onto me. I had never felt so fragile in my life. But moments later an entire crew of people were surrounding us, pulling us out of the basket as it came to a slow and bouncy stop. They helped me into my wheelchair, which was also useless in the abandoned cornfield, and eventually we made it back to the van for our hour long drive home. It was an experience. Just what I wanted. The time didn’t matter. The place didn’t matter. It wasn’t elaborate but it was memorable. 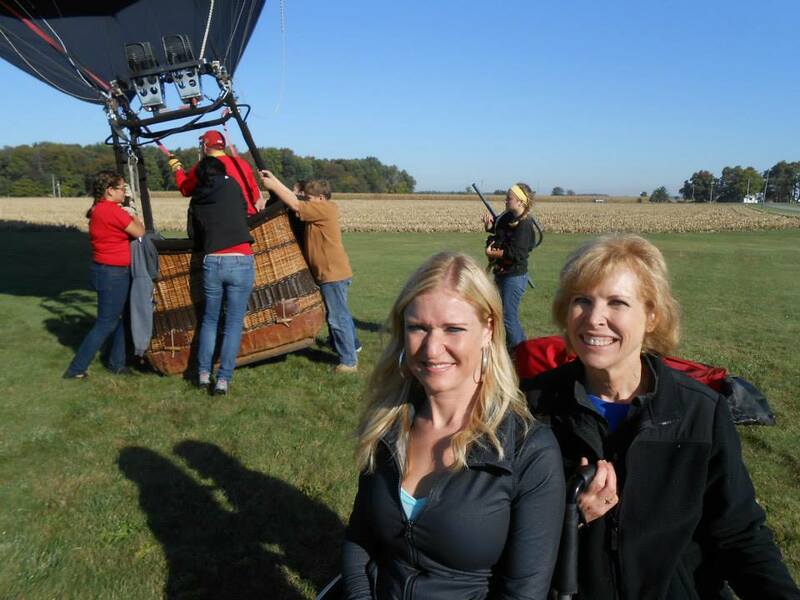 My mom and me, bouncing around in a basket in a cornfield. October 15, 2015 in wheelstravelstheworld.